Friends! In this tutorial we are showing you a little computer trick that you may also know but if you don't know then we are telling you that you can set a keyboard shortcut to shutdown you pc. So whenever you want to shutdown your pc then just press the shortcut key (that you given), your pc will shutdown within the time you given. This trick will work on all windows OS i.e windows xp, windows 7, windows 8 or vista. so don't worry about ti. Its why you to set a shortcut key to shutdown your pc? 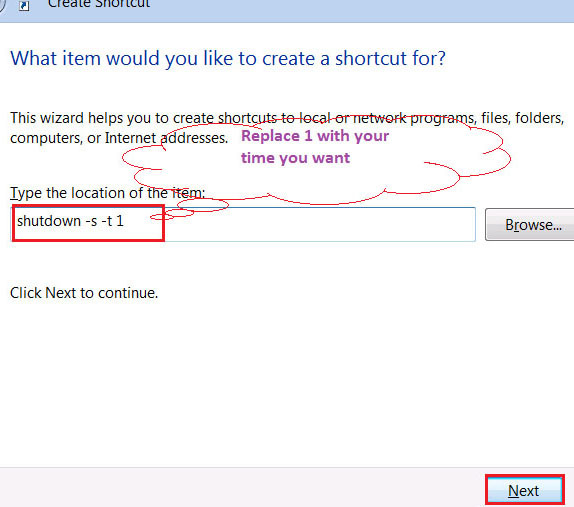 Its you may set a shortcut to shutdown pc just for fun, Let you want to fool one of your friends so when he is on your pc so tell him to press these keys(that you given) So he/she will find the computer is turned off!! Anyway, if you want to shutdown your pc using a keyboard shortcut or (setting a keyboard shortcut for shutdown ) Then just follow the below easy steps. First of all, Right click on your desktop and select 'NEW' option->then select 'SHORTCUT'. After selecting the shortcut, a new window will pop-up so here you have to type "shutdown -s -t 1" It means that when you press the shortcut key, the pc will shutdown within 1 second, you can change it to other. See the below image for better understanding. After clicking on NEXT now give a name to your shortcut as you want. and then click on FINISH. 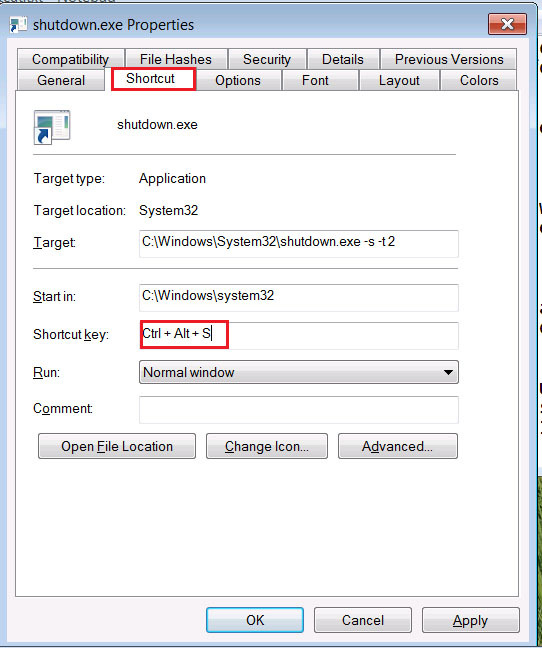 Now you created a shortcut to your shutdown your pc, Now we are going to set a keyboard shortcut to shutdown the pc then follow the next step..
To set a keyboard shortcut to shutdown your pc, Right click on shortcut you created earlier and select 'properties'. And switch to ‘shortcut’ tab, And Then in the "shortcut key" box type your key, I.e you want to set S then just type S. and click on apply. See the below image and do the same. Now you setted a shortcut key to shutdown your pc. So whenever you press Alt+ ctrl+ S, you will see your computer is turning off. So Dear Friends this was a computer trick to create a keyboard shortcut key to shutdown your pc, After setting a keyboard shortcut you just need to press the shortcut to turn off your pc. Hope you like it, If any problem then just leave a comment.